3. 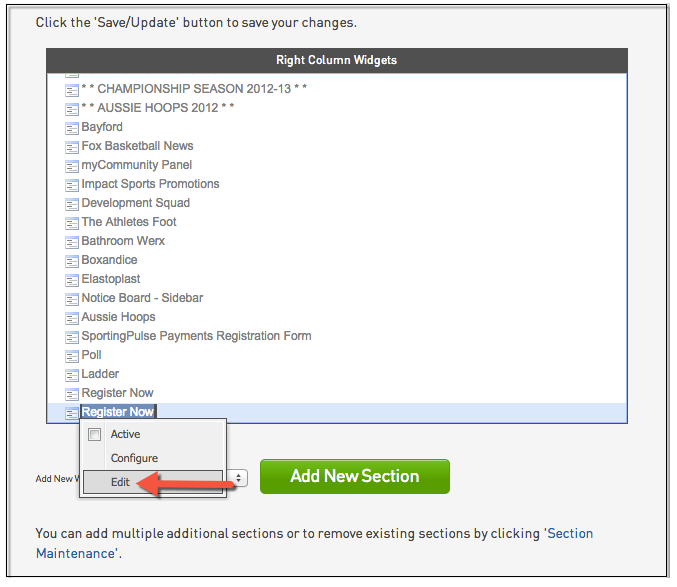 Click on the box next to Add New Section and click 'Register Now'. Click 'Add New Section'. 4. Right click on the widget and click 'Edit'. 5. 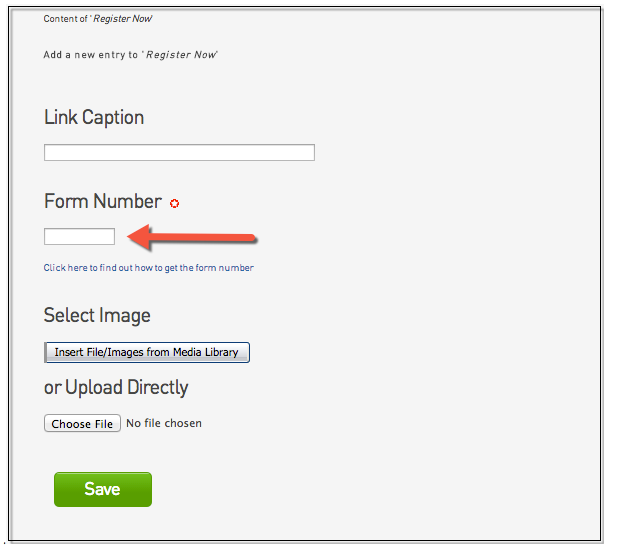 Add your Registration Form number in to the mandatory box and click 'Save. 6. 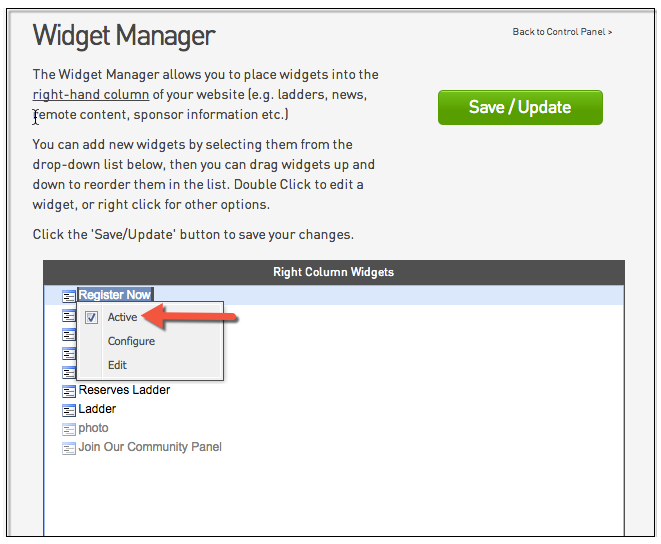 Ensure the widget is active by right clicking on the widget and clicking 'Active'. To move your widget, click the name and drag it to where you would like it.